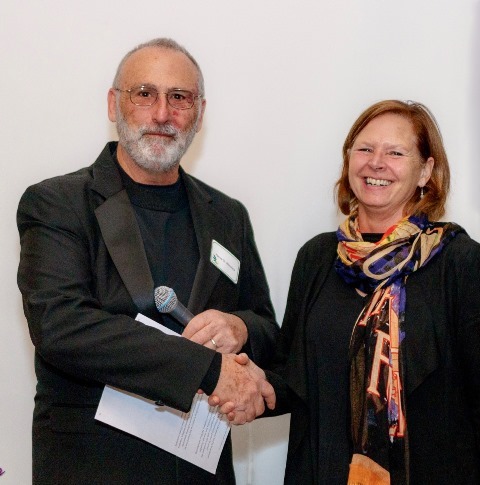 At the CAE Celebration of Philanthropy event, President Henry St. Maurice recognized Ilse Esveld, President of the Columbus Fall / River Rotary Club, recipient of a 2017 CAE grant to support Project WASH water-education projects in Columbus and Fall River schools. CAE grants are limited to institutions that serve the people of the Columbus Wisconsin area with non-profit status. CAE does not fund endowments, loans or re-grant programs, multi-year commitments, religious activities, individuals or groups without a 501(c)(3) designation, other foundations, organizations that practice discrimination, political activities or travel expenses. Read more about CAE's grantmaking program, or click here [PDF] to download the application.